SOM-5894 is a COM-Express Basic module with pin-out Type 6 that fully complies with the PICMG (PCI Industrial Computer Manufactures Group) COM.0 R2.1 specification. SOM-5894 is a COM-Express Basic module with pin-out Type 6 that fully complies with the PICMG (PCI Industrial Computer Manufactures Group) COM.0 R2.1 specification. The CPU module incorporates an Intel 4th Generation Core i processor, PCH QM87, and other peripheral chips. The latest Intel processor uses 22nm and 3D Trigate transistor technologies that brings 13% performance improvement over previous versions, and integrates a powerful Intel HD Graphic 4600 as well as DX11.1, OpenCL1.2, OpenGL4.0 API enabling better display configurations with no bandwidth limitations. PCI Express x16: Supports default 1 port PCIe x16 compliant to PCIe Gen3* (8.0 GT/s) specification, several configurable combinations may need BOM modifies. PCI Express x1: Support default 7 ports PCIe x1 compliant to PCIe Gen2* (5.0 GT/s) specification, several configurable combinations may need BIOS modifies. 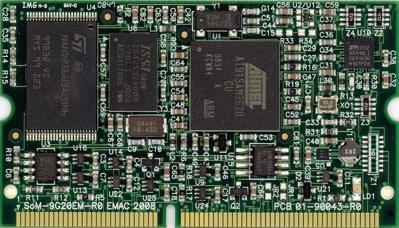 SOM-5894 is a COM-Express Basic module with pin-out Type 6 that fully complies with the PICMG (PCI Industrial Computer Manufactures Group) COM.0 R2.1 specification. The CPU module incorporates an Intel 4th Generation Core i processor, PCH QM87, and other peripheral chips. The latest Intel processor uses 22nm and 3D Trigate transistor technologies that brings 13% performance improvement over previous versions, and integrates a powerful Intel HD Graphic 4600 as well as DX11.1, OpenCL1.2, OpenGL4.0 API enabling better display configurations with no bandwidth limitations. 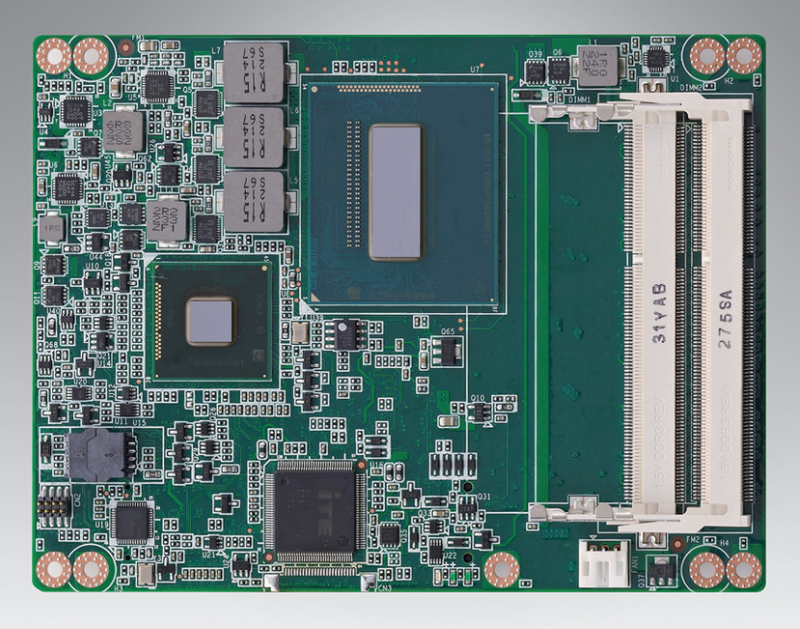 With Intel PCH QM87, SOM-5894 provides advanced interfaces such as PCI Express Gen 3, SATA Gen 3, and USB3.0. 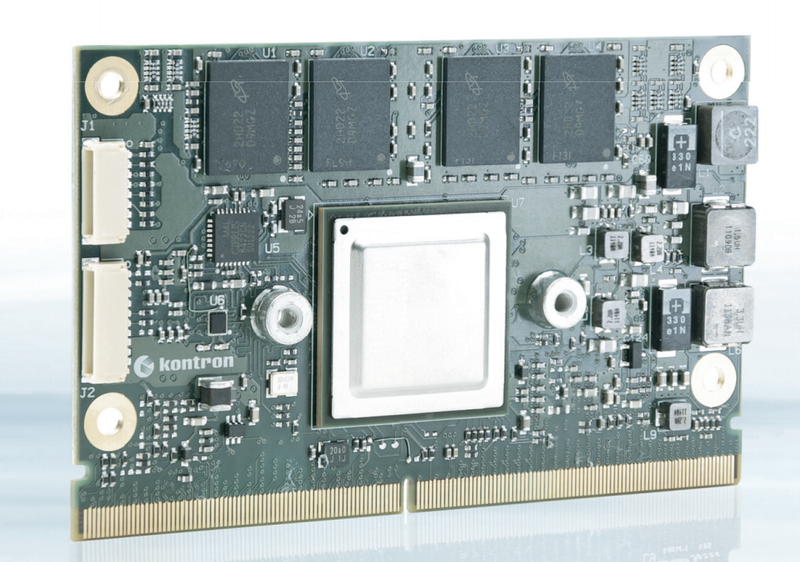 Moreover, PCIe x16 can be used in combination of x4 or x8 to make it more flexible. With top performance and lower power consumption, various extensions and I/O interfaces, SOM-5894 is suitable for computing intensive design, thermal sensitive design, graphics/media insensitive design, and I/O demanding applications.